Former Mo. Gov. and U.S. Sen. 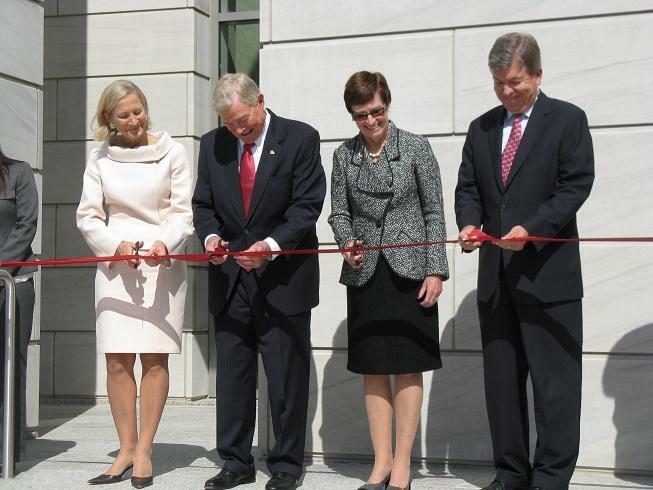 Kit Bond, cuts the ribbon at a new federal courthouse in Jefferson City named after him. Joining him (l-r), his wife Linda, U.S. District Judge Nanette Laughrey, and U.S. Sen. Roy Blunt. The new federal courthouse in Jefferson City...President Obama signed legislation last week naming the new building after former Mo. Gov. and U.S. Sen. 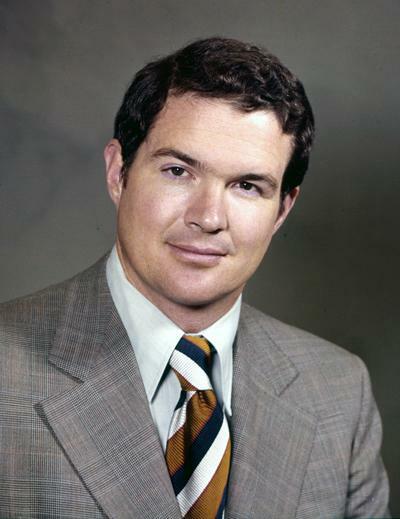 Kit Bond. Former Mo. Gov. and U.S. Senator Kit Bond (R) addresses the crowd at today's ribbon-cutting ceremony outside the new federal courthouse in Jefferson City. 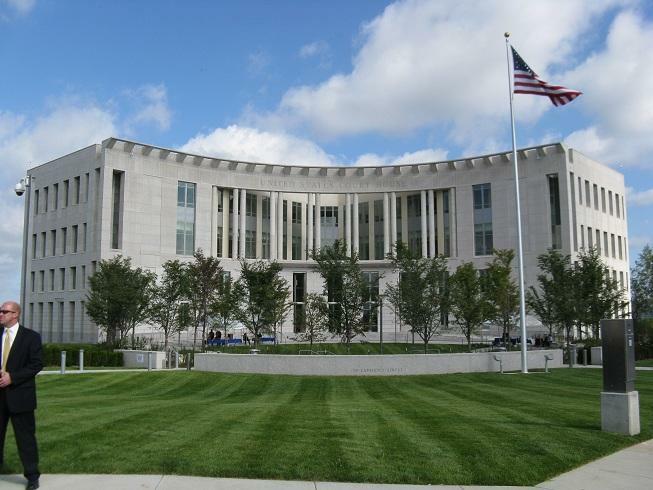 The ribbon was cut today on a $68 million federal courthouse in Jefferson City, named for former Missouri Governor and U.S. 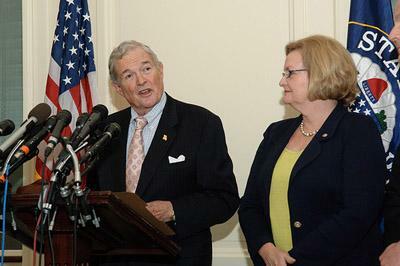 Senator Kit Bond (R). It replaces an older building, which shares space with a post office, and where judges, jurors, lawyers and criminal defendants all shared the same elevator. Bond says the new facility is sorely needed. 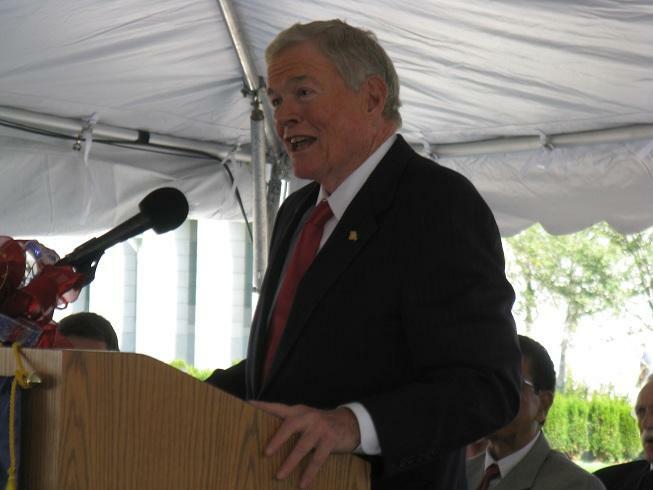 Christopher S. "Kit" Bond served two non-consecutive terms as Missouri Governor in the 1970’s and 80’s, and he served four terms in the U.S. Senate from 1987 through 2010. He chose not to seek a fifth term, and was succeeded by fellow Republican Roy Blunt. 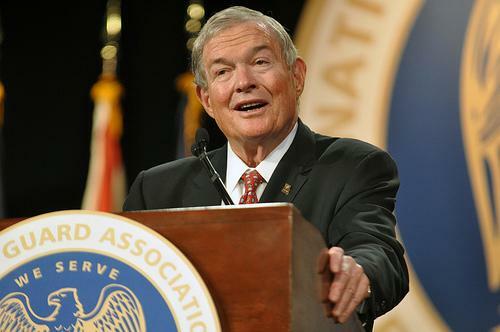 As we told you about earlier, Kit Bond is joining the St. Louis-based law firm Thompson Coburn after his retirement from the U.S. Senate. But what will he be doing, exactly? And why Thompson Coburn?